Compose is pleased to announce the availability of Scylla 1.4.2 on the Compose platform. This is the first update of the database since its arrival as a beta database on Compose. Compose databases are fully featured and managed while in beta as we continue to tune them and their user experience for optimal productivity. For Compose users, the changes between Scylla 1.3 and 1.4 are mostly focussed on enhanced reliability. Beyond this, notable changes include support for CQL Snappy compression where client drivers support it and various new metrics that are now exposed. To upgrade to 1.4.2, simply go to the Compose console for your Scylla database, select Settings, select the new version in the Change Version panel and click Change Version. To get the best out of a Scylla database client and for maximum reliability, it is best to connect to all the nodes of the database. This is why the ContactPoints or Hosts parameters for connections are arrays. But before populating your parameters with all your hosts, there's something you need to know. When a Scylla/Cassandra client is connected to the cluster, it starts to explore its connections, querying the nodes for what nodes they know. That's great if the client is directly connected to the database cluster, but with the Compose Scylla database nodes safely on their own private network and talking to our access portals on that private network, the Compose nodes have no idea about the outside world. When they send the clients the internal IP addresses they are using, the client thinks these are new nodes and tries to connect, then can't and it all goes downhill from there. What's needed is a translator that can turn those internal IP addresses into external names and save everyone from the confusion. AddressTranslator is a standard part of Cassandra/Scylla drivers and gives an interface for doing just that in the various languages that drivers are written in. A translator is no use though if you haven't got a reference for your translating. That's where the Compose console comes in. If you bring up the overview for your Scylla database, below the Connection Strings and Cqlsh Command Line, you'll find a new Address Translation Map section. To use this for any driver that supports address translation, an application needs to create an address translator, load the translator with this information, and tell the driver to use the translator when connecting to a cluster. To make it easier for developers, we've created address translation packages for Node.js, Java, and Groovy that work with Compose address translation maps. In the process of adding support for this in Compose Scylla, we found that some drivers made an assumption that the port number of database nodes would be the same across all nodes. However, Compose's architecture is such that, for Scylla, we can't switch to using consistent port numbering without complicating future developments unnecessarily. We are therefore seeking to improve driver support for variable port numbers within a cluster. We have already submitted modifications to some drivers to add this capability and we'll keep users informed as to the progress of those changes. We also invite Cassandra/Scylla driver authors to work with us to enhance and test their drivers. With the packages installed, we can create some code to connect to the cluster. Start by including the required packages and creating a password handler with credentials to log into Scylla. With that created, create an instance of the ComposeAddressTranslator and, using the translator's setMap function, give it the address information it needs. The code can then create a new ComposeAddressTranslator instance and pass the map to it using the setMap() method. It is now a simple task to use this translator to create the connection. We invoke the Cluster class builder() and, in a chained function, first add the contact points where we want the client to connect using the addContactPointsWithPorts() method. The ComposeAddressTranslator.getContactPoints() method makes this easier by using the right-hand side of the translation map as a list of contact points. The code then chains on setting the appropriate credentials using the withCredentials() method. Finally, the code tells the builder to use the translator it created with .withAddressTranslator() before building the cluster. And now we are querying the cluster over all the available nodes. 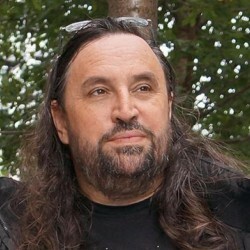 For Groovy users, the Java code can work well for them, but for completeness, we include a Groovy version of the connection code as an example. 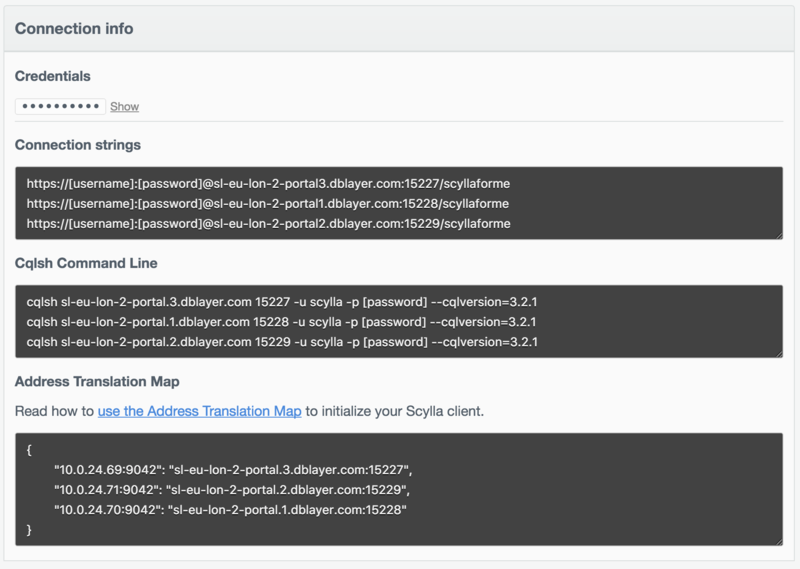 The address translation map feature allows for more reliable client connections into Scylla. We've so far addressed some of the more popular languages and we'll be looking to make this capability available to as many drivers as possible in the future.